Filigreed and yet a stunning eye-catcher. Ethnic with a clear conscience. By ethnic jewellery specialist Smitten. White, grey and silver glass beads are skilfully threaded row-by-row according to traditional beading art by the Maya women of Guatemala. 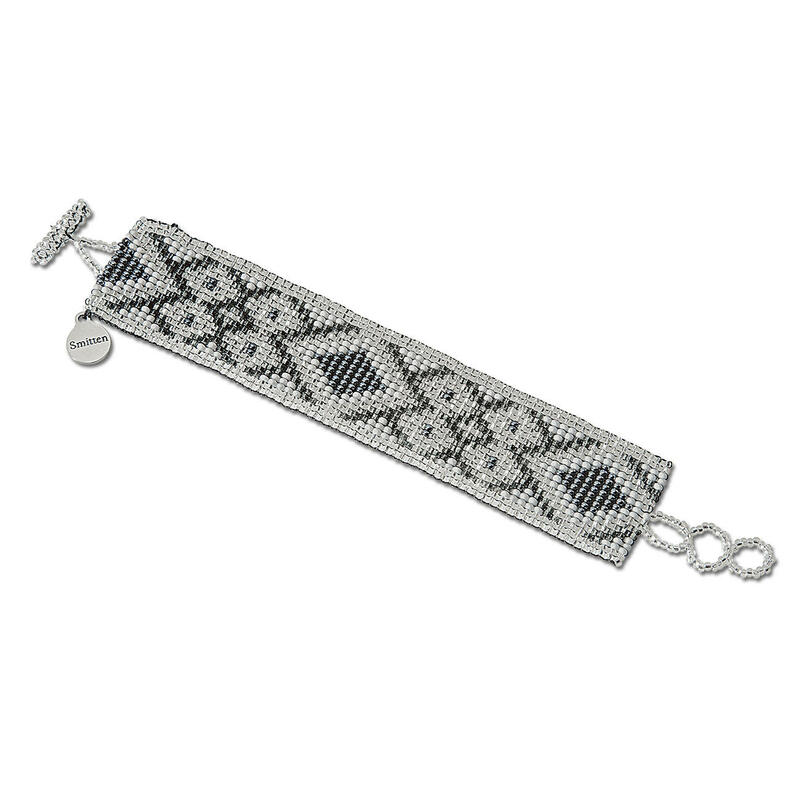 The clear colours make the typical ethnic Navajo pattern stand out particularly beautifully. The bracelet can be fastened easily thanks to the threefold adjustable anchor clasp, and adapts perfectly to the shape of the wrist. The two German founders of Smitten personally ensure that their high ethical standards are being implemented. As it is only through long-term cooperation and fair working conditions that premium quality products can be guaranteed. Bracelet made of glass beads, threaded by hand. Colour: White/grey/silver. Size: 3cm (1.2") wide. Length adjustable from 17-19cm (6.7"-7.5"). Threefold anchor clasp made of glass beads.